Alcatraz Island and Union Square are good opportunities to explore the local culture. You'll enjoy a bit of beach vacationing at Fort Funston National Park and Baker Beach. And it doesn't end there: take a leisurely stroll along Fisherman's Wharf, buy something for everyone on your list at Ferry Building Marketplace, steep yourself in history at City Lights Booksellers, and see the interesting displays at SS Jeremiah O'Brien. To find ratings, reviews, more things to do, and other tourist information, you can read our San Francisco tour itinerary planner. Rio de Janeiro, Brazil to San Francisco is an approximately 18.5-hour flight. You can also do a combination of flight and subway; or do a combination of flight and train. You'll gain 5 hours traveling from Rio de Janeiro to San Francisco due to the time zone difference. In December, San Francisco is much colder than Rio de Janeiro - with highs of 17°C and lows of 8°C. Wrap up your sightseeing on the 22nd (Sun) early enough to drive to Carmel. Carmel-by-the-Sea, often simply called Carmel, is a city in Monterey County, California, United States, founded in 1902 and incorporated on October 31, 1916. 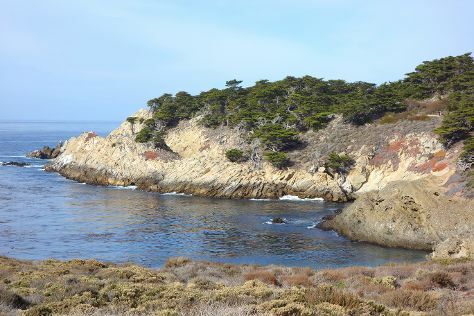 On the 23rd (Mon), immerse yourself in nature at Point Lobos, make a trip to Pacific Grove Oceanview Boulevard, and then appreciate the extensive heritage of Cannery Row. Make your Carmel itinerary with Inspirock to find out what to see and where to go. Drive from San Francisco to Carmel in 2.5 hours. Alternatively, you can do a combination of flight and bus; or take a bus. In December, plan for daily highs up to 19°C, and evening lows to 7°C. Finish your sightseeing early on the 23rd (Mon) so you can drive to Yosemite National Park. 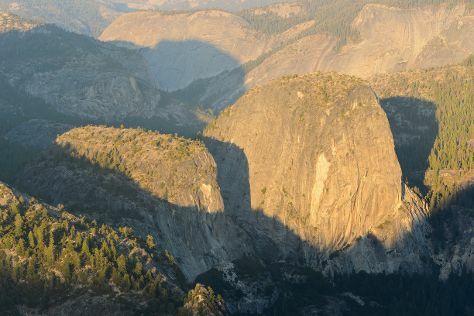 Start off your visit on the 24th (Tue): shop like a local with Yosemite Museum Gallery, take your sightseeing to a higher altitude at Cathedral Beach Picnic Area, then take in the dramatic natural features at Sentinel Dome, and finally take in the dramatic natural features at Glacier Point. For ratings, other places to visit, traveler tips, and tourist information, go to the Yosemite National Park attractions planner. Getting from Carmel to Yosemite National Park by car takes about 5 hours. Other options: do a combination of bus, flight, and car; or do a combination of bus, shuttle, flight, and car. When traveling from Carmel in December, plan for slightly colder days in Yosemite National Park, with highs around 9°C, while nights are much colder with lows around -11°C. Finish your sightseeing early on the 25th (Wed) to allow enough time to travel to Los Angeles. Step out of the city life by going to Venice Beach and Boardwalk and Kenneth Hahn State Recreation Area. Deepen your sense of the past at sights like La Brea Tar Pits and Museum and Hollywood Forever Cemetery. Change things up with a short trip to Oak Canyon Nature Center in Anaheim (about 58 minutes away). 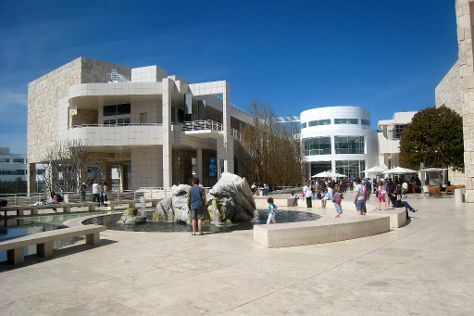 There's still lots to do: see the interesting displays at The Getty Center, get to know the fascinating history of El Pueblo de Los Angeles, look and learn at Griffith Observatory, and wander the streets of Abbot Kinney Boulevard. To find more things to do, reviews, ratings, and other tourist information, use the Los Angeles trip maker app . Getting from Yosemite National Park to Los Angeles by combination of car and flight takes about 4.5 hours. Other options: drive; or do a combination of taxi, bus, and flight. In December, Los Angeles is warmer than Yosemite National Park - with highs of 24°C and lows of 11°C. Wrap up your sightseeing on the 29th (Sun) early enough to drive to Malibu. 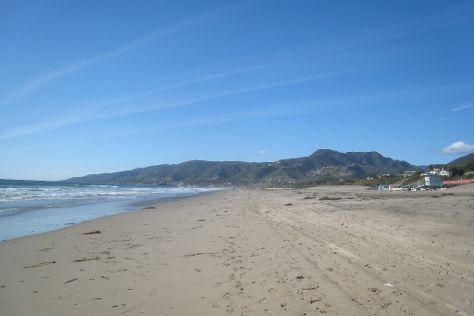 Malibu is a beach city in Los Angeles County, California, situated 30mi west of Downtown Los Angeles. On the 29th (Sun), stroll through El Matador State Beach, examine the collection at Ronald Reagan Presidential Library and Museum, and then mingle with the ghosts of the past at Paramount Ranch. Get ready for a full day of sightseeing on the 30th (Mon): kick back and relax at Zuma Beach, enjoy the sand and surf at Carbon Beach, then see the interesting displays at The Getty Villa, and finally take in the spiritual surroundings of Malibu Hindu Temple. To see photos, traveler tips, where to stay, and more tourist information, go to the Malibu tour itinerary planner . You can drive from Los Angeles to Malibu in an hour. Other options are to do a combination of tram and bus; or take a bus. Expect a daytime high around 22°C in December, and nighttime lows around 11°C. Finish your sightseeing early on the 31st (Tue) so you can drive to San Diego. Do your shopping at Gaslamp Quarter and Spanish Village Art Center. 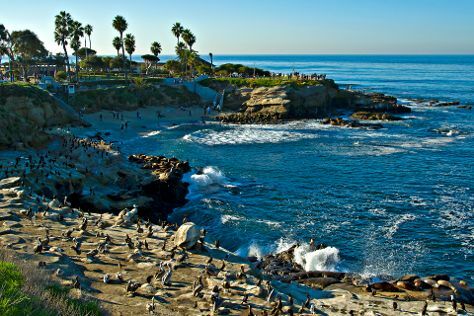 Get outdoors at La Jolla Cove and Torrey Pines State Natural Reserve. There's lots more to do: examine the collection at USS Midway Museum, take in the architecture and atmosphere at Mary, Star of the Sea Catholic Church, get to know the fascinating history of Old Town San Diego State Historic Park, and explore the different monuments and memorials at Fort Rosecrans Cemetery. To see photos, maps, more things to do, and tourist information, read our San Diego trip planning app . Traveling by car from Malibu to San Diego takes 3 hours. Alternatively, you can take a bus; or take a bus. Expect a daytime high around 23°C in December, and nighttime lows around 12°C. Cap off your sightseeing on the 3rd (Fri) early enough to go by car to Beverly Hills. Beverly Hills is a city in Los Angeles County, California, United States, surrounded by the cities of Los Angeles and West Hollywood. On the 3rd (Fri), immerse yourself in nature at Santa Monica State Beach, make a trip to Santa Monica Yacht Harbor Sign, look and learn at Camera Obscura, then take a leisurely stroll along Santa Monica Pier, and finally learn more about the world around you at Museum of Jurassic Technology. Get ready for a full day of sightseeing on the 4th (Sat): take a stroll through Rodeo Drive, then get answers to all your questions at Annenberg Community Beach House, and then get a taste of the local shopping with Third Street Promenade. To see maps, ratings, and tourist information, refer to the Beverly Hills visit planning app . You can drive from San Diego to Beverly Hills in 2.5 hours. Other options are to do a combination of flight and bus; or do a combination of train and tram. January in Beverly Hills sees daily highs of 22°C and lows of 11°C at night. Wrap up your sightseeing by early afternoon on the 5th (Sun) to allow enough time to drive to Santa Barbara. Start off your visit on the 5th (Sun): learn about winemaking at Margerum Wine Company and then get some fabulous bargains at Italian Pottery Outlet. On the next day, wander the streets of State Street Underpass, admire the majestic nature at Carpinteria State Beach, steep yourself in history at Old Mission Santa Barbara, then admire the natural beauty at Alice Keck Park Memorial Gardens, and finally identify plant and animal life at Douglas Family Preserve. To find traveler tips, other places to visit, maps, and tourist information, use the Santa Barbara online trip itinerary planner . Drive from Beverly Hills to Santa Barbara in 2 hours. Alternatively, you can take a bus; or do a combination of bus and train. Expect slightly colder evenings in Santa Barbara when traveling from Beverly Hills in January, with lows around 7°C. Wrap up your sightseeing on the 8th (Wed) early enough to travel to Las Vegas. On the 8th (Wed), admire the masterpieces at Bellagio Gallery of Fine Art, then shop like a local with The Strip, and then admire the local landmark of Bellagio Fountains. Get ready for a full day of sightseeing on the 9th (Thu): identify plant and animal life at Lake Mead National Recreation Area and then explore the stunning scenery at Red Rock Canyon National Conservation Area. To see reviews, more things to do, and other tourist information, refer to the Las Vegas travel route site . You can do a combination of bus and flight from Santa Barbara to Las Vegas in 5.5 hours. Alternatively, you can drive; or do a combination of train and flight. When traveling from Santa Barbara in January, plan for a bit cooler days in Las Vegas, with highs around 17°C, while nights are about the same with lows around 5°C. Cap off your sightseeing on the 10th (Fri) early enough to travel to Grand Canyon National Park. Start off your visit on the 11th (Sat): engage your brain at Yavapai Geology Museum, stop by Canyon Village Marketplace, then explore the stunning scenery at Grand Canyon South Rim, and finally examine the collection at Kolb Studio. To find photos, other places to visit, and tourist information, go to the Grand Canyon National Park trip planner . You can do a combination of car and flight from Las Vegas to Grand Canyon National Park in 4.5 hours. Other options are to drive; or take a shuttle. The time zone difference moving from Pacific Standard Time (PST) to Mountain Standard Time (MST) is 1 hour. Expect little chillier weather when traveling from Las Vegas in January: highs in Grand Canyon National Park hover around 7°C, while lows dip to -11°C. Wrap up your sightseeing by early afternoon on the 12th (Sun) to allow enough time to travel back home.